It’s been over 15 years since NATO’s destruction of Yugoslavia, and the creation of the mafia state of Kosovo. Once NATO’s 1999 war on Yugoslavia came to an end, units of the Kosovo Liberation Army (KLA) poured across the border. The KLA wasted little time in implementing its dream of an independent Kosovo purged of all other nationalities. Among those bearing the brunt of ethnic hatred were the Roma, commonly known in the West as Gypsies. Under the protective umbrella of NATO’s Kosovo Force (KFOR), the KLA was free to launch a pogrom in which they beat, tortured, murdered and drove out every non-Albanian and every non-secessionist Albanian they could lay their hands on. Not long after the war, I was a member of a delegation that interviewed people who had been forced from their homes in Kosovo. We heard how attacks on people often took place in the presence of KFOR soldiers, who invariably did nothing. Indeed, by all accounts, the relationship between KFOR and the xenophobic KLA was mutually warm and supportive. Albanians who wanted to live together in a multi-ethnic society, or even those who held ordinary government jobs such as mailman, were not immune from attack either. We talked with an Albanian man who had been a member of the Yugoslav government in Kosovo up until the arrival of KFOR. He told us that the KLA had driven out of Kosovo 150,000 Albanians did not share its extremist views. Another Albanian we talked with in Belgrade wanted to return to Kosovo but was concerned about his safety if he did so. In time, his feelings of homesickness overcame his fear. He returned home, only to be killed in a rain of automatic rifle bullets fired by KLA soldiers who broke into his home. Typically, refugees of the “wrong” ethnicity went largely unnoticed in the West. To learn more about the forgotten ones, we joined Jovan Damjanovich, president of the Association of Romani Organizations of the Republic of Serbia, in his office in the slightly rundown Belgrade suburb of Zemun. A passionate man, Damjanovich briefed us on how his community had fared at the hands of the Kosovo Liberation Army. 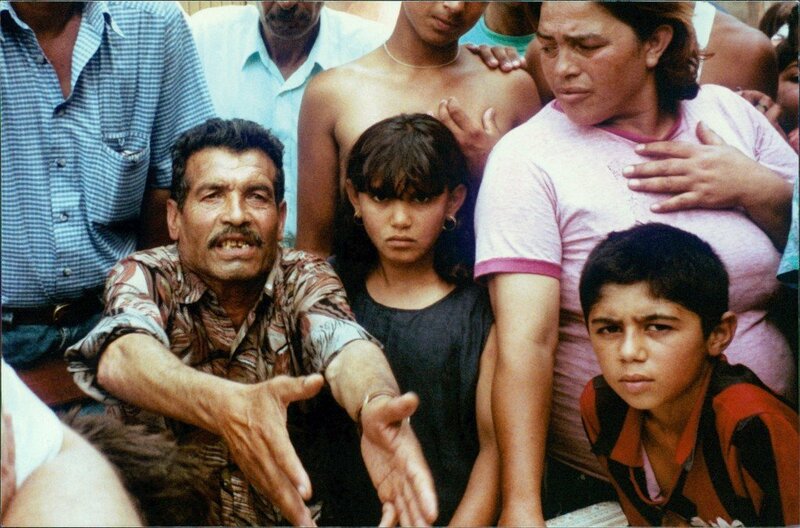 The situation of the Roma was dire. The Yugoslav government, financially strapped by harsh Western sanctions and struggling to care for several hundred thousand refugees from earlier wars in Croatia and Bosnia, was now confronted with the sudden influx of hundreds of thousands more. We were driven to a Roma settlement in Zemun Polje, located on the outskirts of the town. Romani residents here had taken more than five thousand refugees into their homes, placing an enormous strain on the local population’s personal finances. Those who had little opened their homes to help their fellow human beings. It said much for the people here. 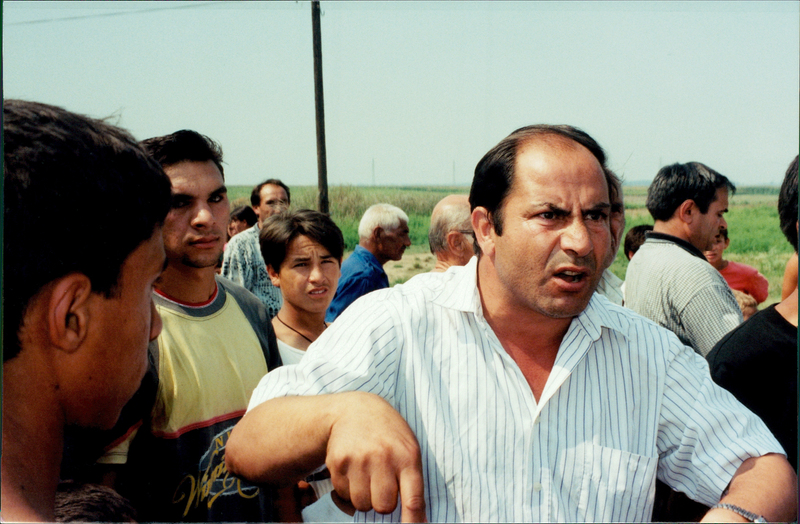 Threats drove Pucho Rezhezha and his family from their home. After murdering Pucho’s brother, the KLA warned that they would kill everyone in the family if they did not leave Kosovo. The next day, Damjanovich arranged for us to resume our interviews, this time in the center of Zemun. Even before we managed to set up our video cameras, we were surrounded by refugees, anxious to tell us their stories and to hear what others had to say. The weather was sweltering, and sweat poured down my back as the crowd closed around us. Estref Ramdanovich, vice president of the Roma association, informed us that out of a total population of 150,000 Roma in Kosovo, the KLA had by that point expelled 120,000. “The KLA soldiers don’t want any other ethnic group to be in Kosovo,” he explained. “Only Albanians.” Ramdanovich was one of those who had sacrificed much to help others, having taken an astonishing twenty refugees into his home. With rising emotion, Jovan Damjanovich described the situation. “How many refugees are in the streets, in the bus stations, in the railroad stations, in the parks!” He planned to issue appeals for aid. It was no surprise to me when the so-called “international community” – a term that somehow always means only powerful interests in the United States and Western Europe and excludes the vast majority of the world’s population – continued to ignore the plight of these politically inconvenient refugees. Little more than a week after our visit to Zemun, Nusret Saiti, leader of the largest remaining Roma community in Kosovo, reported that the KLA had torched over 99 percent of the town’s Romani homes, leaving only three standing. The KLA was stripping the demolished homes for building materials, Saiti said, but NATO’s KFOR mission made no effort to stop them. In just the first year and a half alone of NATO occupation, more than 800 Roma were either killed or had gone missing, a situation which Western officials willfully ignored. 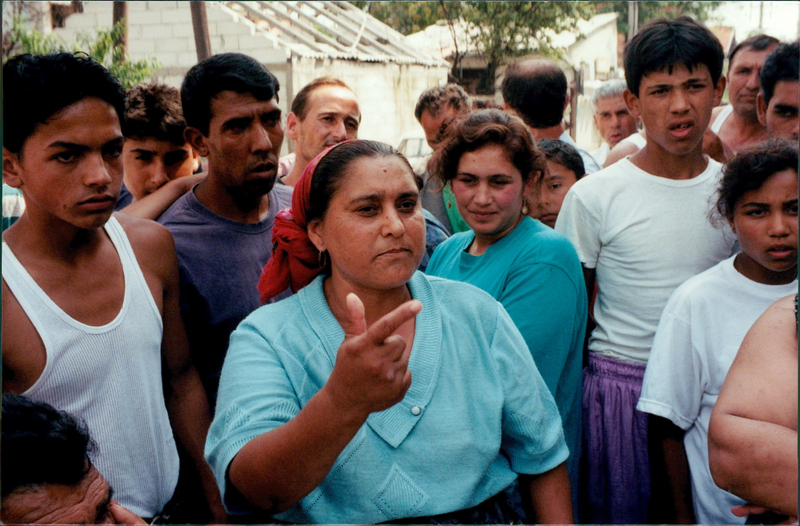 Only much later, after most of the Roma had been expelled from the province, were primitive and inadequate refugee camps set up under guard within Kosovo. We began to talk with the refugees. A soon as Yugoslav forces departed from Kosovo, the KLA showed up, they all told us. Bajrosha Ahmeti burned with anger. Adan Berisha told us that he and his wife were tortured by KLA soldiers. He pointed to his wife, whose face and arm were disfigured. It appeared that acid had been poured on her. But that was not the end of the family’s woes, for the KLA also murdered Berisha’s 12-year-old son. After killing the boy, the KLA soldiers threw Adnan, his wife, and grandson out of their home and began to haul away their possessions. Four KLA soldiers broke into the home of Elas Raqmani one morning at about 6:00 AM. Two were armed with rifles and the others with knives. 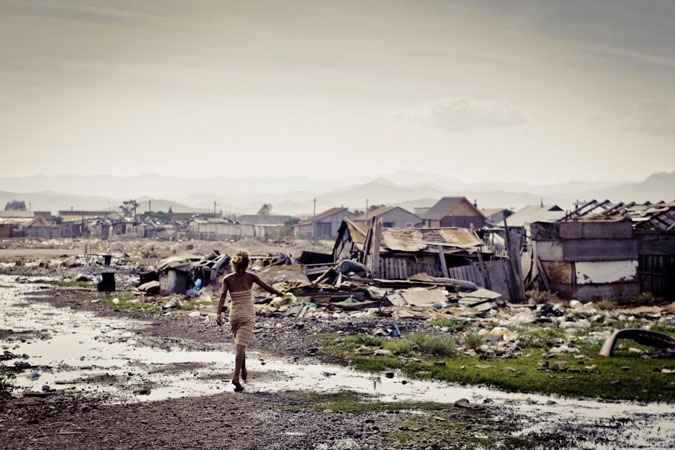 “KLA soldiers took everything – all of the furniture from my home,” he recounted. The intruders then ordered the family to leave. Only later did Raqmani learn that many of his neighbors were killed that day. Raqmani told us that he had worked for fifty years, and his family lived very well until the day he lost his home. His wife was now reduced to visiting the markets each day and asking for leftover vegetables. Surrounded by her young children, Ajsha Shatili told us she was forced to leave her home on June 19, only a few days after the withdrawal of Yugoslav forces.